Why visits to the Galapagos National Park must be guided? 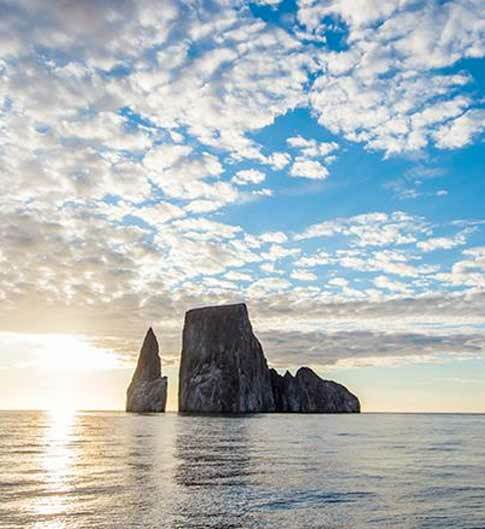 Since 1975, all visitors to Galapagos must be accompanied by a certified naturalist guide. These men and women are a key component in the management of the Galapagos National Park: they not only share their knowledge with the visitors, but also act as the eyes and ears of the park service, enforcing rules and notifying the park service about introduced species, trails that need maintenance, etc. 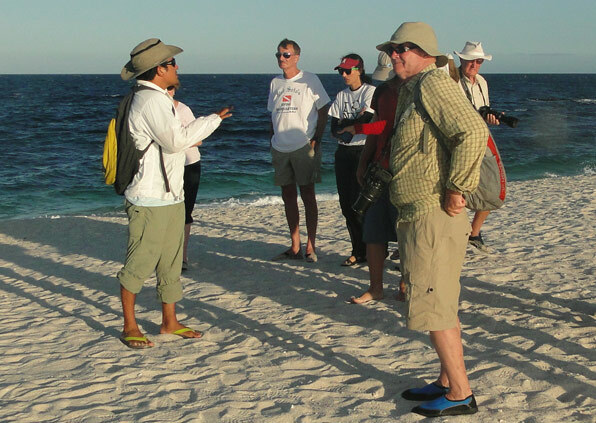 The Galapagos guides come from a variety of backgrounds, and all must take and pass the official guide course. Even though their presence is mandated by the park service, many visitors find that their Galapagos guide is an important part of their overall Galapagos experience! The Galapagos National Park recognizes four categories of guide: class one, class two, class three and Marine Reserve guides. Class one guides are those who have simply completed high school and taken the guide course. Class two guides have spent four years as a guide and passed an additional test. Class three guides have a degree in Biology, Tourism or something similar and speak at least two additional languages in addition to Spanish. They also must meet all class two criteria. Marine Reserve guides are class one, two or three guides who are also certified to guide underwater SCUBA trips in the Marine Reserve. The guide course is long and detailed: the park service wants to make sure that the guides are well educated. It includes many units, including history, geology, environmental education, group management and professional ethics in addition to the obvious information about plants and animals. For the last few years, the Galapagos guide course has only been open to Ecuadorians who are legal residents of the Galapagos Islands. This has had a mixed effect. It has been good in that it encourages the islanders to get involved more with tourism and less with fishing (much of which is illegal), and it also educates islanders about their home. The drawback has been a decrease in guide quality: excluding trained biologists from the mainland or other countries and replacing them with islanders with little formal education has led to a shortage of level two and three guides. But the scale of levels one through three is not always the best way to judge guides. Some guides may be highly trained and qualified, but cold and unapproachable to visitors. Others may be less well trained, but their enthusiasm and love of the islands makes them a much better guide. The best guides are those who speak several languages, are knowledgeable about the plants, animals and ecosystems of the Galapagos and who routinely receive high ratings from visitors for their friendliness and attitude. These guides are well known by reputation in the small world of Galapagos tourism and the best ships, like the Nina and the Athala, always go out of their way to hire them even though less qualified guides can be had for a much lower wage. Guides have many roles on board a visitor ship. Their primary duty is to accompany all land excursions: each guide may be responsible for a maximum of 16 visitors. They take the visitors along the trails, talking about the plants, animals, geology and history of the island they are visiting. They also answer all of the questions! On the ship, guides are often responsible for briefings the night before a visit, telling the passengers ahead of time what they'll need to wear and bring. Many of the fondest memories that visitors take away are of their dedicated guides, those friendly, cheerful ambassadors of the park!